Leave it to director David Fincher and screenwriter Aaron Sorkin to take a movie about the creation of a social media website and turn it into a riveting dramatic thriller. The (mostly) true story of the creation of Facebook and its founder Mark Zuckerberg's resulting legal troubles could've been a dull piece of techno-babble, but instead the filmmakers focused on Zuckerberg's personal relationships and his inability to relate to other people on a humanistic level. Star Jesse Eisenberg plays Mark almost as an Asperger's victim. He approaches every situation completely analytically and speaks to everyone in the most blunt terms possible, almost as though sugarcoating would be a waste of energy. 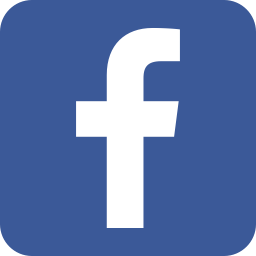 This has the effect of alienating almost every one of his friends, and his business decisions result in lawsuits, both from his roommate and FB co-founder Eduardo Saverin, and from the Wiklevoss twins, who claim he stole their idea. 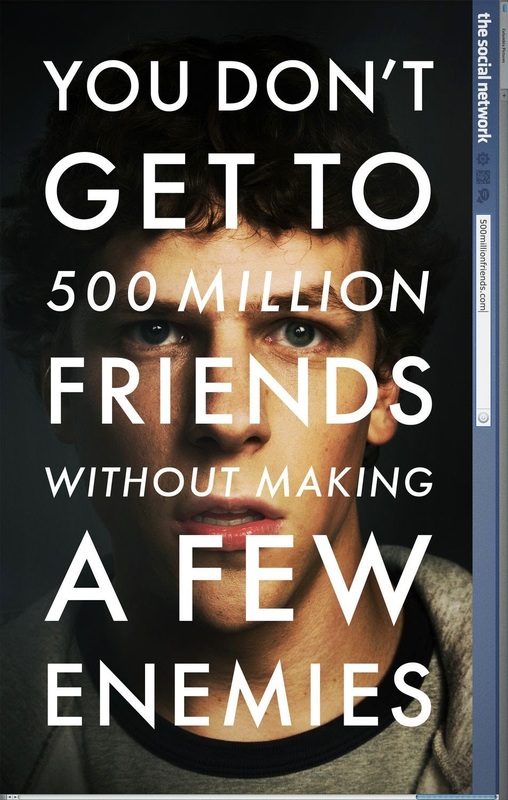 The Social Network is presented as a tense, powerful, dialogue-driven pseudo-thriller, and the screenplay by the always excellent Sorkin moves along just fast enough to drive the story but not so fast we can't follow it. In lesser hands this story would have focused too much on the technical aspects and lost the characters, but Fincher and co. know exactly how to draw the audience in. David O. Russell's true account of Lowell fighter Mickey Ward ranks right up with Rocky and Raging Bull as one of the best films about boxing. Ward's tale of an unlikely champion finally realizing his dream is a familiar one, but Russell uses hyperrealism for the fight scenes, emulating the look of a television broadcast capturing the action. The film features three amazing supporting performances, all of which garnered Oscar nods. Amy Adams plays Charlene, Ward's love interest and tough-as-nails local girl who isn't ashamed of who she is or where she came from. She is drawn to Ward's awkward shyness and feels for his bizarre family situation, aware that the people he loves most are holding him back. Melissa Leo won an Oscar for her performance as Mickey's mother/manager Alice. Alice is incapable of making a business decision that isn't driven by her own personal issues. She acts as much out of her own need for glory and gratification as for her son's well-being. The Oscar-winning show-stealer in the film though is Christian Bale as Mickey's half-brother Dicky Eklund, a former fighter who, despite being a hopeless crack addict, still thinks he's going to make a ring comeback. Like his mother, Eklund is a shaky-at-best hand guiding Mickey's boxing career and preventing him from succeeding. These three characters engage in a power struggle to win Mickey's trust. Charlene knows Mickey needs to distance himself from his dysfunctional family, while Alice and Dicky see Mickey as their meal ticket. Mark Wahlberg as Mickey wisely keeps his performance understated, knowing he can't compete with such huge characters. I've read some reviews stating Mickey was an unworthy protagonist who gets lost in the shuffle, but I found him easily identifiable as a quiet person surrounded by forceful personalities who are pulling him in different directions. Russell has made an extraordinary career of taking strange characters and making us sympathize with them. 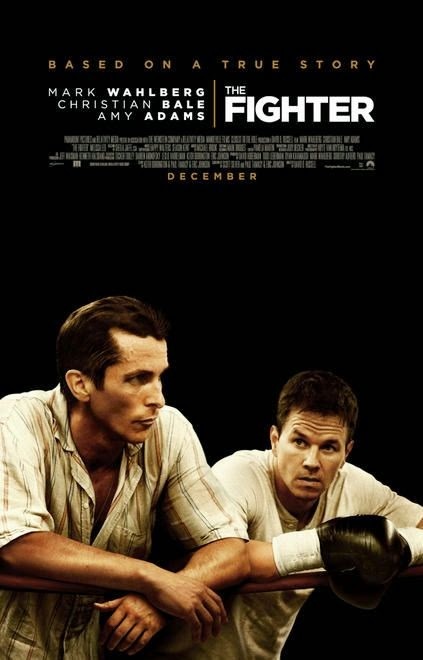 The Fighter is a showcase of superb acting, and one of the best of all boxing films. Ben Affleck has become one of the most exciting directors in Hollywood. His 2007 film Gone Baby Gone demonstrated his considerable and surprising ability behind the camera, and his second film The Town affirms that he will likely be remembered for directing just as much as for acting. 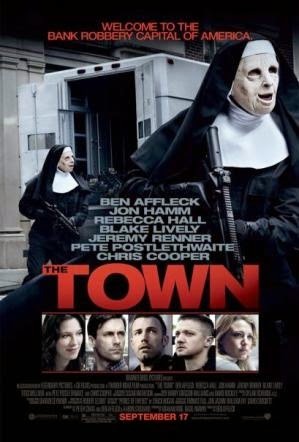 The Town is a taut, suspense-filled masterpiece. Set in Charlestown, MA, The Town centers around a team of bank robbers who target and knock off various banks and money trucks with laser precision. During one job the gang kidnaps and later releases a female bank manager (Rebecca Hall), and after shadowing her to ascertain how much she has told the authorities, the gang leader Doug (Affleck) finds himself romantically drawn to her. As their relationship blossoms, Doug decides he wants a new life unburdened by criminal activities and begins to pull away from the group. Fellow gang member and Doug's best friend Jem (played as a violent loose cannon by the brilliant Jeremy Renner) insists on pulling Doug back in. The gang is tailed by FBI agent Adam Frawley (Jon Hamm), who always seems just one step behind and perhaps gains some respect for the gang's efficiency. Based on the novel Prince of Thieves by Chuck Hogan, The Town is a complex story of thieves we grow to care about and almost root for, and Affleck as the lead utilizes his natural everyman charisma to bring to life this thief with a heart of gold. Renner's performance as Jem is the counterpoint - a volatile scoundrel who nonetheless truly cares about Doug's friendship and is crushed that Doug feels he no longer needs him. The cat and mouse game between the thieves and the FBI keeps the story fast-paced and enthralling. The Town solidifies Affleck's status as a truly gifted director, and after his Oscar-winning 2012 follow-up Argo, I am very interested to see where his career goes from here. 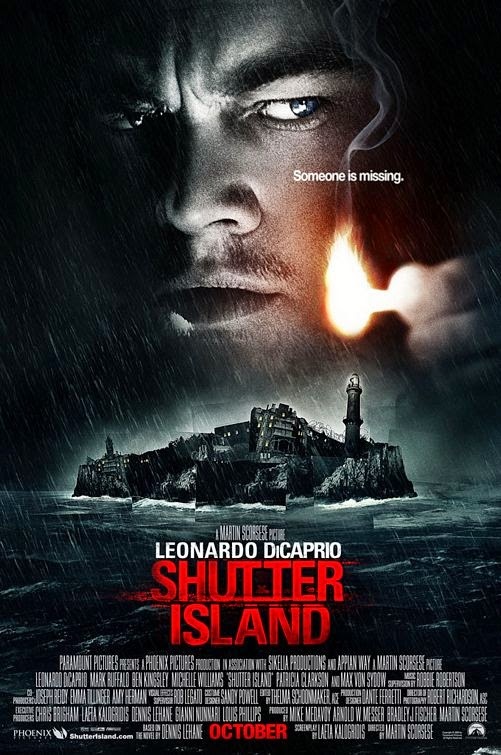 Martin Scorsese once again delivers one of the best films of the year with his adaptation of Dennis Lehane's Shutter Island, a riveting thriller about a US Marshal investigating the disappearance of an escaped inmate from a Massachusetts asylum. This atmospheric, powerful film features a formidable cast led by Leonardo DiCaprio and Mark Ruffalo as the Marshals, who become lost in the labrynthine asylum and begin to discover that nothing is what it seems. This is a classic case of the unreliable narrator, as DiCaprio's character begins to doubt the motivations and perception of the asylum's staff, inmates, and even himself. For those of you who haven't yet seen the film, I won't reveal any spoilers, but the resolution is as appallingly staggering as any movie twist I can remember. The isolated, claustrophobic setting is one of the most foreboding in film history, and the excellent choice of existing music for the film's score (supervised by Robbie Robertson) enhances the grim mood of the story. DiCaprio would star in two 2010 films about deeply scarred protagonists, both of which were magnificently executed. Shutter Island was the first. My #1 pick is the other. Christopher Nolan's sci-fi espionage film is one of the first genuinely original summer action movies in quite some time. Combining elements of James Bond and The Matrix, Inception deals with the concept of either stealing or planting ideas in someone's brain while they sleep. Leo DiCaprio stars as Dom, an "extractor" whose team of experts is hired by a powerful Japanese businessman (Ken Watanabe) to plant in the subconscious of his chief competitor the notion of dissolving his business empire. The technique of inception is something extractors would generally never attempt, but when Watanabe's character promises in return that Dom will be cleared of his exile from the United States, Dom accepts. What follows is a breathtaking mindbender of a story, involving multiple dream layers and plot reveals which are far too complex to go into here. The cast is made up of accomplished actors, notably Tom Hardy as Dom's "forger" - someone who can impersonate others in a dream, Joseph Gordon Leavitt as Dom's right-hand man Arthur, and Marion Cotillard as the dream manifestation of Dom's deceased wife Mal. Many have complained about the complexity of the film but I found it clear, if intricate and challenging. The show-stealing sequence for me is the zero gravity fistfight involving JGL's character, which is one of the most exhilarating and inventive action scenes I can remember. 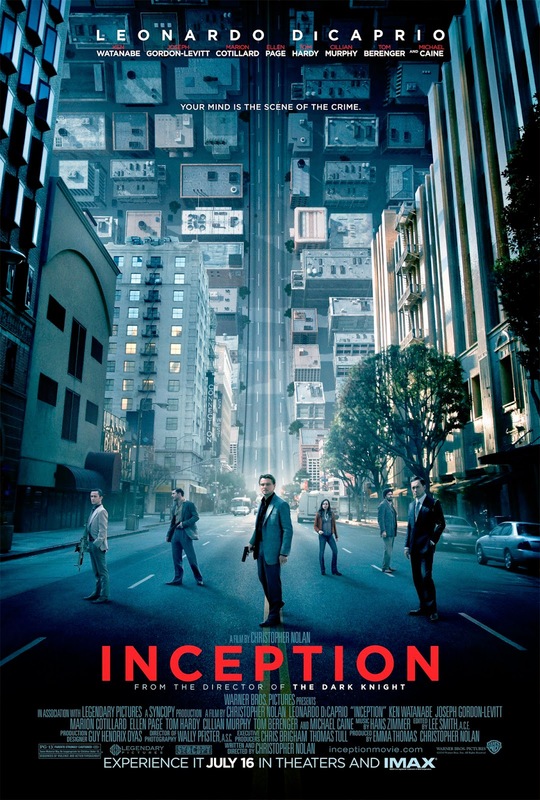 Released in July 2010, Inception was an anomaly - a brain-teasing, conceptual thrill-ride, released at a time when most summer films had checked out mentally and simply regurgitated the same stories and formulas that made money before. After this film and the Dark Knight Trilogy (not to mention Interstellar), Christopher Nolan may be the best big-movie director working right now.